Before I start, please note that allocating only one day to see Manhattan is absolutely ridiculous. 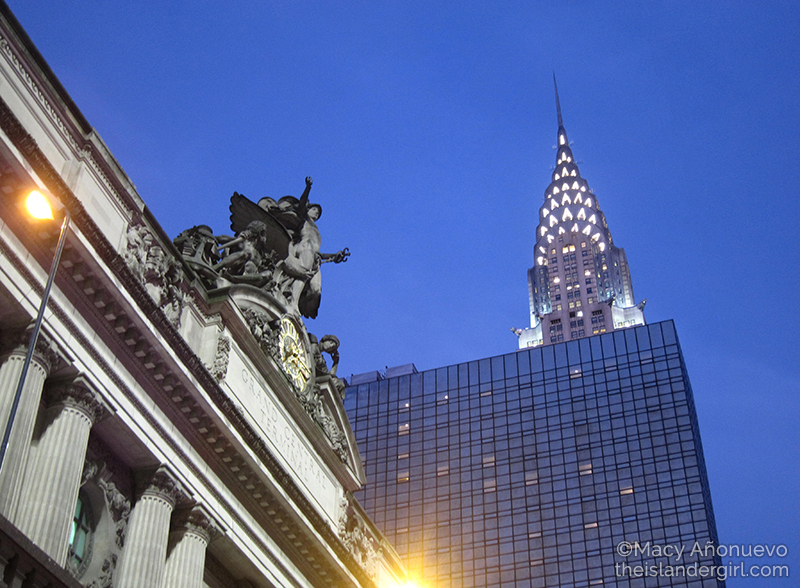 There’s just so much to see and do that you can easily spend three days or more just in Manhattan, not to mention the rest of New York City. 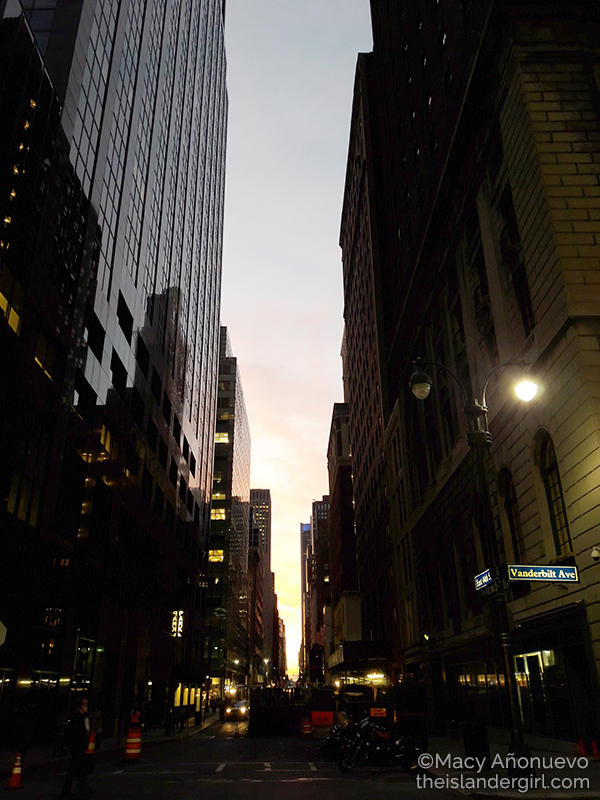 However, I was in NYC for work and had only one free day between meetings and had no way to extend my stay, so making the most of that one full day was imperative. 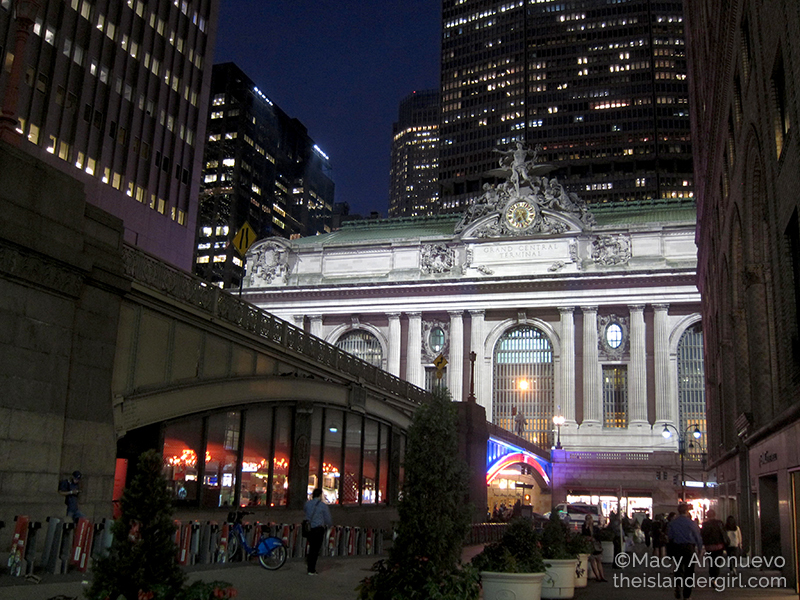 Part of what made this itinerary work was basing out of Manhattan already. I stayed in the Vanderbilt YMCA and had a mostly good experience, except for a major grievance that resulted from Front Desk not talking to Security. I started this itinerary at 9 am, but I would have had to start it much earlier if I weren’t in Manhattan already. 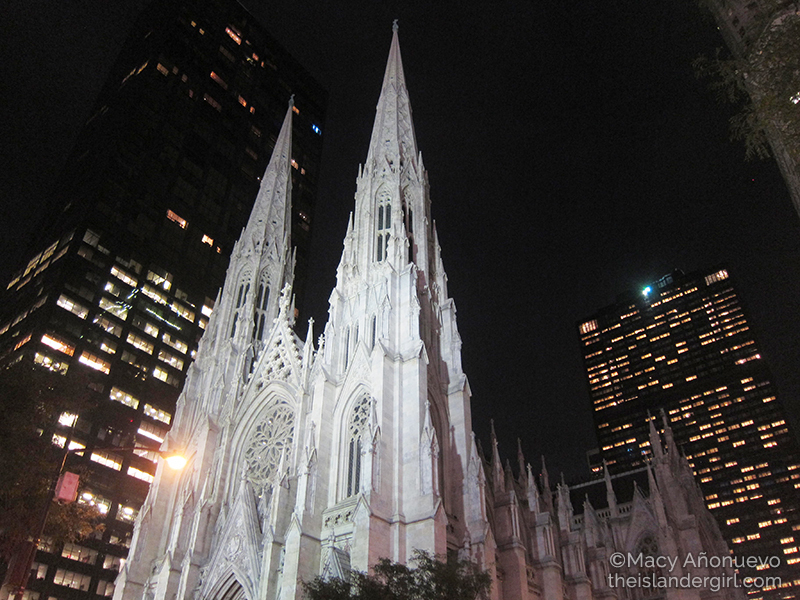 I passed St. Patrick’s at night on my 2nd day and took photos (of course), but it’s still something else to see it in the daytime. 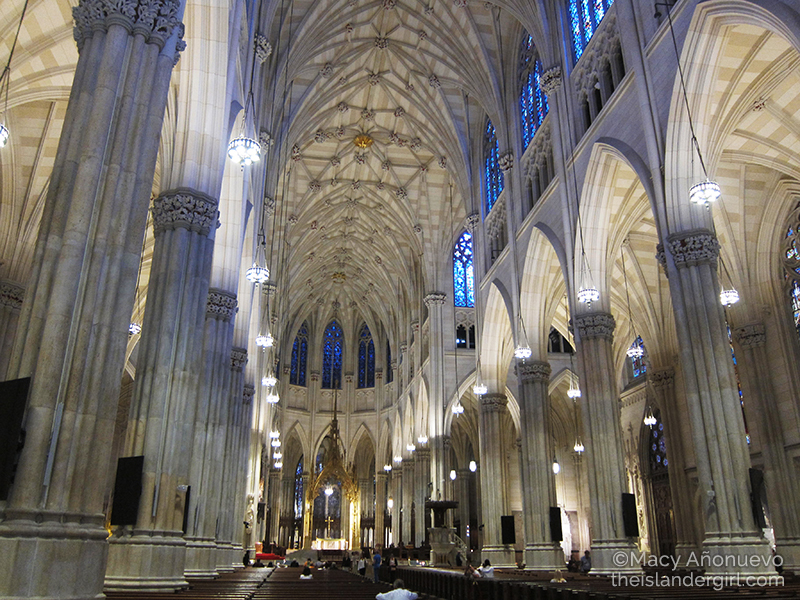 The architecture just amazed me. 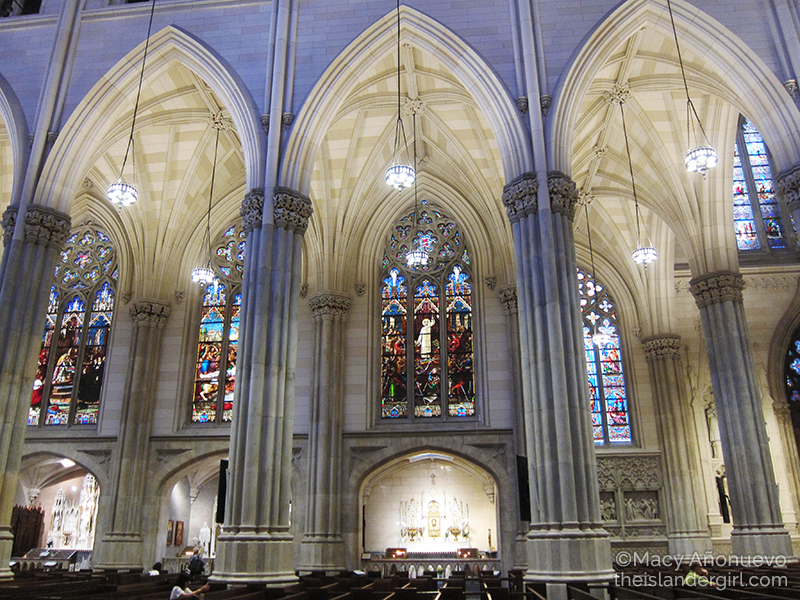 It felt weird to take photos inside the church but the staff said it was okay. Still only took a few though. Also managed to squeeze in some quiet time. 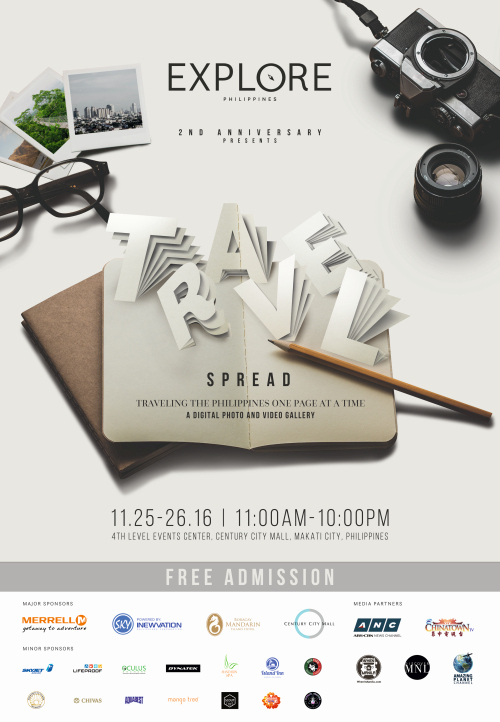 I had a lot of fun (and learned a lot too) at Explore Philippines‘ Travel Spread event last week 😀 The anniversary party was on November 24, while the event itself was on November 25-26, 2016. I have two main memories of the anniversary party: eating dragonfruit ice cream from Johann’s Cuisine and fried pizza from Chill Out Cooks, and seeing Rhian Ramos in person. 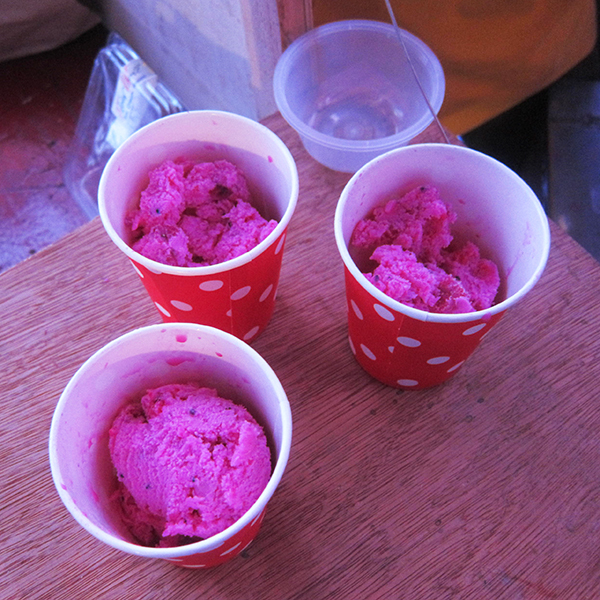 Johann’s Cuisine‘s dragonfruit ice cream is amazeballs. I’m not really a fan of dragonfruit – it’s okay, but it’s not something I’d go out of my way to eat – but the ice cream is love. Johann’s Cuisine uses coconut milk for the ice cream, not cow’s milk. So not only does it taste delicious, it’s vegan too 😀 Yes, I only found out after I forgot that I’m not supposed to eat dairy for a week (doctor’s orders) and ate a cup, so WHEW, crisis averted. Mary Ann and I wondered how you could fry a pizza. Is it deep-fried as is? Do they coat the slice in batter then deep-fry? Do they put two slices together like a sandwich then deep-fry? As it turns out, it’s just the pizza dough that’s deep-fried THEN they put the toppings. They can also stuff the dough with the toppings then deep-fry. Their regular stall is in Greenfield District in Mandaluyong (Friday-Saturday, 5pm-12mn) and since I’ll be there anyway on Friday for Geekfight, I’m grabbing another slice of their fried goodness. The other highlight was seeing Rhian Ramos, the cover girl for Explore Philippines’ 2nd anniversary issue (Nov 2016-Jan 2017). She’s so pretty, she’s unreal. Are all celebrities like this? France Pinzon (the editor-in-chief of Explore Philippines) is friends with the creators of Saving Sally, an independent animated movie that Rhian starred in when she was 19 (she’s 26 now!) that is FINALLY getting released this December at the Metro Manila Film Festival, so she brought it up during Rhian’s interview and gave her the opportunity to promote it. Trivia: Rhian is actually the second Sally – she only came onboard after the original Sally was unavailable for reshoots. WATCH THE MOVIE GUYS!!! As for Travel Spread itself, I was only able to attend the second day because I wasn’t feeling well on the first day. 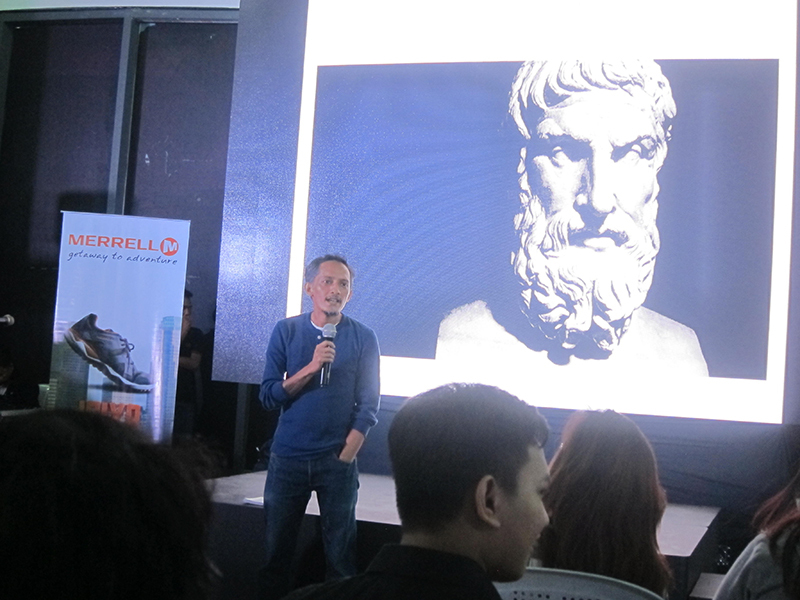 While that’s unfortunate, I’m still happy because I was able to catch my friend Paul Catiang‘s talk on travel and food writing! 😀 The talk itself focused on his experiences of eating while traveling, including an eight-month stay in India with his father, where the food was so rich (Paul says it’s like having a Bollywood dance number in your mouth) that he ended up craving for the simple things like plain steamed rice. Paul says that food needs to be understood in three contexts: survival, curiosity, and comfort. We eat to survive (none of that fancy stuff), but we’re also curious about other things. But at the end of it all, we come back to the food that comforts us and makes us happy. It was a great talk 🙂 The Q&A section had people asking him about how he got started in food writing for Explore (he’s known France for a while and she tapped him to write) and how he deals with restaurants where the food isn’t that good (apparently, there are lots of ways to avoid answering the question “Masarap ba?” [“Is it delicious?”]). 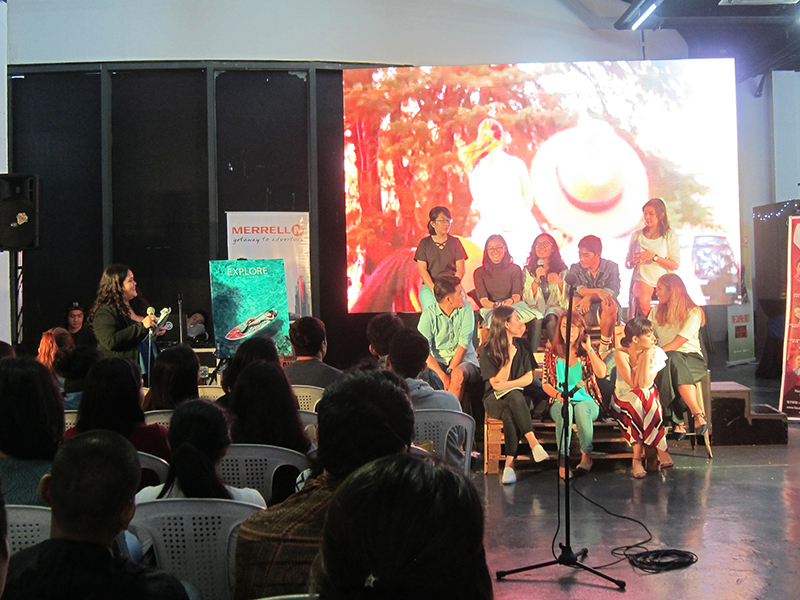 The afternoon had a panel session by the Explore Philippines staff on what it takes to put out a great magazine. 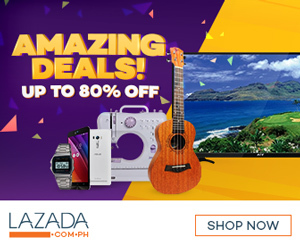 When (almost) all the travel information you need is online and available for free (mostly), why would a reader want to buy Explore Philippines? France (she’s bottom row, middle, covered by the mike stand) says that they produce Explore as a well-edited collector’s item – something you keep even after reading. “We want the magazine to stand the test of time”, she says. 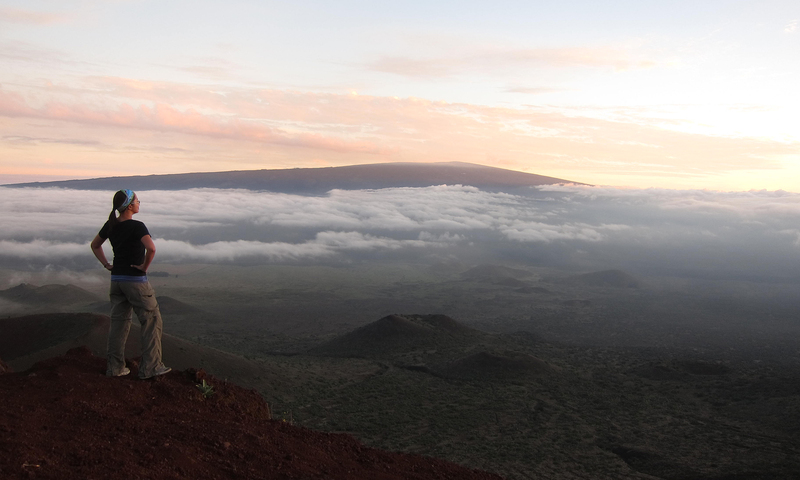 They attract readers using the quality of the visuals and stories, as well as featuring lesser-known destinations. Publisher Christina Po (bottom row, left-most) added “We feel like reading articles in a magazine is a different experience from reading something online.” This doesn’t mean that they’re skipping online content. 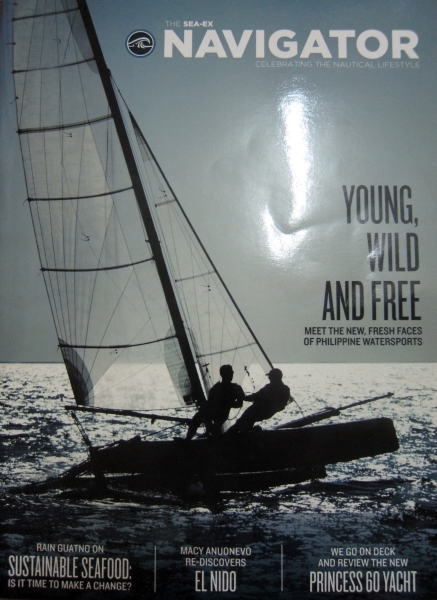 Their website http://www.livetoexplore.ph has the same quality writing but in much shorter and specific articles, as befits an online audience. The gorgeous photos are there too. The website does NOT have the magazine’s content, so you still have to buy the magazine if you want the long-form stories. 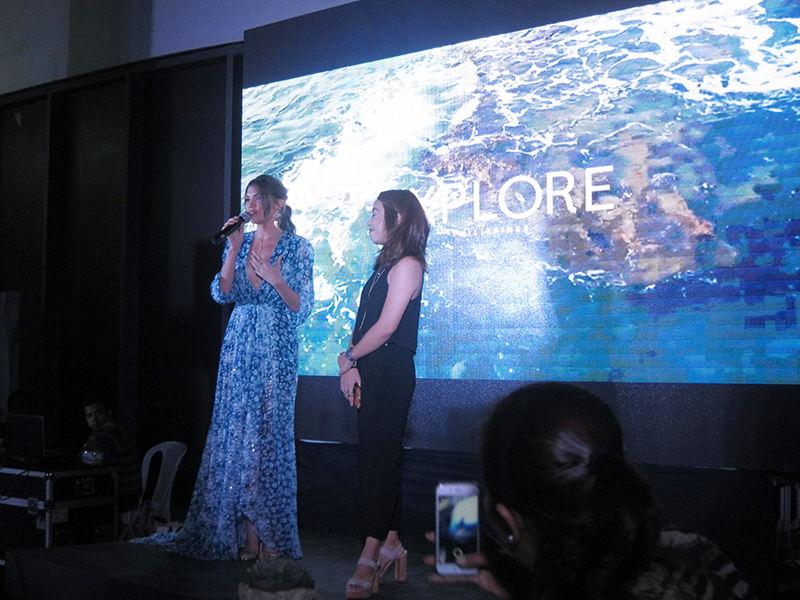 The revamped Explore Philippines now comes out quarterly instead of bi-monthly, which France says gives them more leeway in logistics for shoots and more time to make sure that stuff is well-edited. “It’s actually more work, not less work [to publish quarterly]!”, she says. What is an experience worth? I may not mention it outright or link to the company’s official website, but I think most people here know that I work for a high-end resort in El Nido, Palawan. My official job title is “Environmental Officer” but because of my fondness for blogging and social media, I tend to keep track and update the company’s official social media accounts even though it isn’t technically part of my job. I post photos, tweet, edit videos, and answer questions from potential guests. Now, I don’t mind answering basic questions like “How do I get there?” (even though you totally could have Googled the question yourself and gotten an answer faster than waiting for me to reply) or “What activities do you offer?”. What annoys me to no end are people commenting “You’re too expensive! Your rates are un-Filipino!”, “Do you have promos for Christmas?”, “It’s cheaper to go to Hong Kong than to Palawan!”, or some variant thereof. As a fellow traveler on a limited budget, I absolutely understand why you want to get the lowest possible rate at the best time to visit and experience the best holiday you’ve had to date. But as someone who works in the tourism industry, have you ever considered what goes into your experience? Exclusivity. Each property only has 50 rooms, so the maximum capacity is 100-120 people. This means that if you stay with us, you’ll have approximately 1.5 staff (or more!) taking care of your needs and wants throughout your stay. This also means that we’re quieter compared to other places. A guest from New York once said that he paid top dollar for silence. What is this room worth? The luxury of being taken cared of. We have fewer guests and more staff compared to other hotels, which helps us give you a level of service that will make you cry in happiness. Seriously. Guests have cried during the goodbye song. Some of them also didn’t want to leave. We had a couple over Christmas who willingly paid to stay in the Manager’s Quarters because they wanted to extend their stay but all the guest rooms were taken. We greet you by name (unless you don’t want us to, of course) and strive to make your stay as enjoyable as possible. Please note that there’s nothing we can do about the weather, the jellyfish, or the birds that sing really loudly in the early morning. Increased costs. We operate island resorts in northern Palawan. 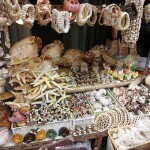 We prioritize local suppliers but there are still some things that we need to bring over from Manila. That means moving them via cargo ship or plane, which cost money. We also operate our own diesel generators, desalination plants, sewage treatment plants, and a materials recovery facility. These also cost money. Don’t get the wrong idea. I am NOT saying that it’s not possible to have an equally good time while on a limited budget. Our barkada trip to Antique-Guimaras-Iloilo only set us back around P5,000 each and we had a blast, but it was a very different experience compared to a luxury resort. We relied on the hospitality of local friends and their relatives (thank you Mike and Kuya Nonoy! ), bought groceries and cooked our own food, slept on mattresses in one big room, and arranged everything ourselves. Though equally fun, it was worlds away from sleeping with down pillows, having someone else arrange our activities for the day, and eating food prepared by someone who used to be the personal chef to one of the richest families in the Philippines. The heart of every travel decision should be getting the most bang for your buck, whether that’s AUD 31.50 per night in a hostel (did this in Australia) or the presidential suite of a five-star hotel (got to take a peek inside – not stay! 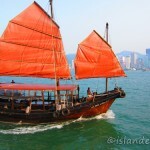 – in the Hilton Hotel in Sanya, China). The bottom line is that the property I work for is worth it. 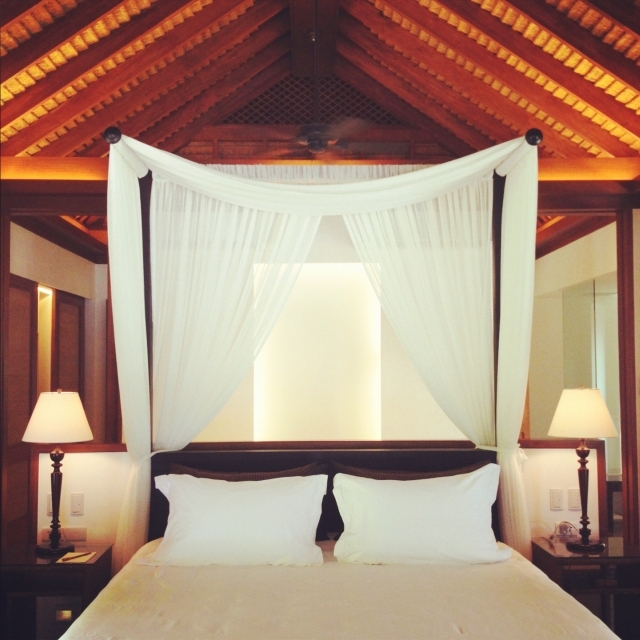 Yes, staying with us might mean saving up for several months but we make it worth your while. I work in El Nido, a municipality on the northwestern side of Palawan. The funny thing is that people are always surprised they I tell them it takes 6 hours non-stop to travel from El Nido to Puerto Princesa by land. 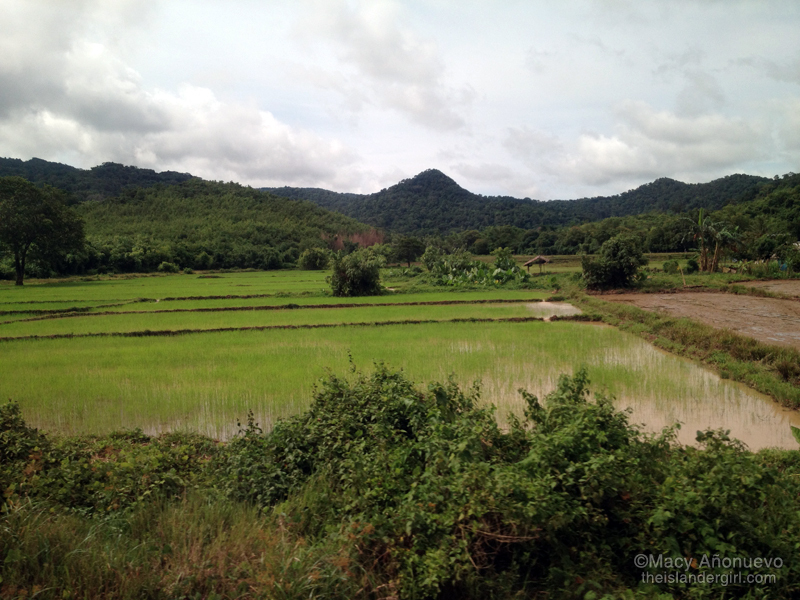 First: Puerto Princesa is on the opposite side of Palawan so you travel via old logging roads turned paved roads that hug the side of the mountains. Even though you’re traveling on flat land, the winding and swerving road from El Nido to Puerto Princesa feels worse than Kennon Road going up to Baguio. 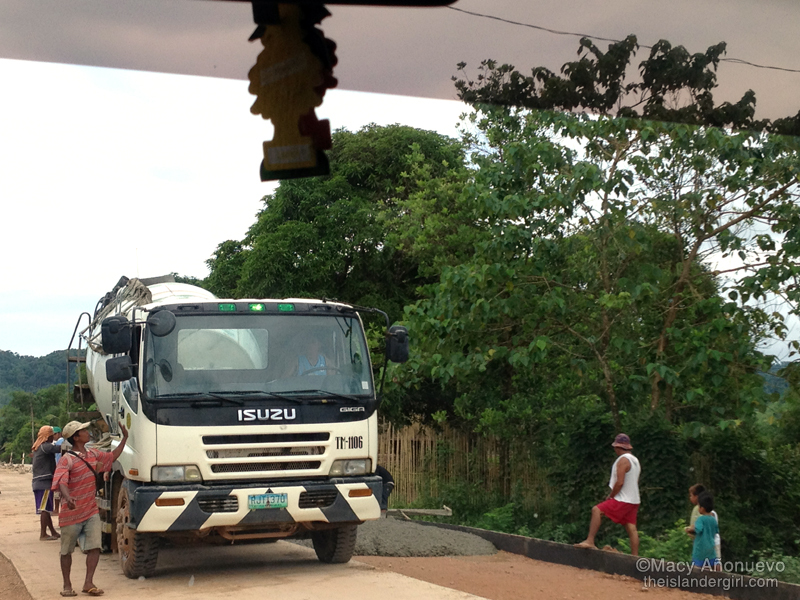 Second: the road from El Nido to Taytay isn’t paved. During the dry season, it’s dusty as hell. During the wet season (when we traveled), the road is littered with deep potholes that need to be avoided or traversed carefully. 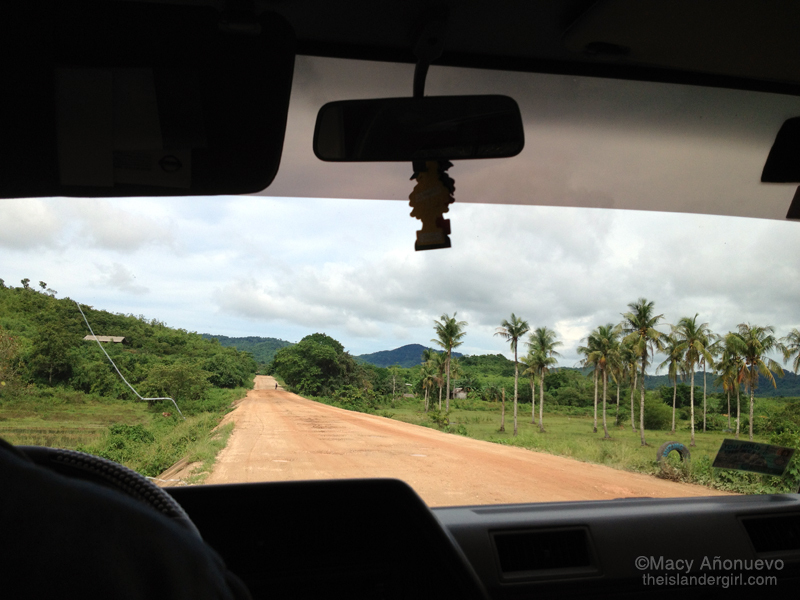 I went on my first El Nido-Puerto Princesa road trip last July 8-9 when we went to Puerto to buy stuff for Family Day. They’re paving the road very, very very slowly. I got published! This isn’t the first time this has happened but I’ll never stop getting excited over seeing my name in print for something I’m proud of writing. You can read/download the PDF copy here. I don’t have a scanner so I photographed the pages instead (desperate much?). As our flight back to Manila leaves at 8:30 am, we opted to take the Airport Express to HKIA instead of the Cityflyer bus. The bus route starts at 5:30 am and would take maybe an hour to the airport, while the train starts at 5:50 am and takes less than 30 minutes. Yes there was only a slight difference in the time we’d get to HKIA but we didn’t want to chance it. The Airport Express cost HK$72 one-way compared to the bus’ HK$33. We found a taxi after only 5 minutes of waiting (Carla advised us it might take 10-15 minutes because of the early hour) and paid HK$35 for the 2++ km trip to Kowloon Station (there’s a surcharge for luggage). We exchanged our vouchers for train tickets and sat down to wait. If you’re taking Cathay Pacific, Dragonair, or any of the other airlines that support in-town check-in, you can check your bags at the train station for an even more hassle-free ride. You can also use your Octopus card to pay for the train. The train ride was fast. Wow. Even though the trip was much longer, I’m glad we took the bus into the city as our introductory sightseeing tour as the AE train mostly goes through tunnels so there’s no view. We got to HKIA in about 25 minutes, checked our bags, then wandered around for something to eat. We easily found seats in the food court area and ate some pancakes and eggs. Unfortunately, the bane of my airport existence is also found in HKIA: expensive drinks. A bottle of water cost HK$16 🙁 Incidentally, you can use the last of your Octopus card load at the airport because you can also use it to pay for food. You can also opt to return your Octopus card to get the deposit and any remaining credit back, though there’s a surcharge if you return it within three months of buying it.